In a blog update from the Facebook status blog, the word from the social network server team is that the slow response time on Facebook is resolved. This means that the servers are back to cruise control and humming right along at warp speed. This update from Facebook came at 5:28 p.m. – and that’s west coast time – so about an hour ago (8:30 p.m. EST). People started complaining about slow Facebook response times around 11:30 a.m. EST, and then about an hour or so later Facebook issued an official response that they were experiencing “site wide server issues”. We’ve resolved the issues that were causing the site to have slow response times. We apologize for the inconvenience and thank you for your patience. 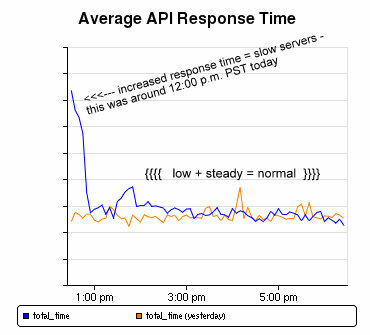 So you are noticing Facebook’s response time going back to normal on your computers and / or smartphones?